It has been 20 years since Trukai first jumped on the fun run bandwagon. National marketing manager, Maybellyn Fernandes, highlighted how one shirt can change the lives of so many people, whether it is supporting Team PNG, schools raising funds through selling them, or fun run participants winning scholarships to study at the Institute of Business Studies. “I was thinking about this the other day and I realised, it’s possibly one of the only events where a major sponsor takes a step back and gives up prime position on branding material to encourage other brands, and other logos, to take up a spot on what is literally a walking, talking billboard for many years to come,” she said. President of the PNG Olympic Committee, Sir John Dawanincura, thanked Trukai and partners for their continuous support. “It’s a hundred-and-fifty days today that Team PNG will march into the opening ceremony on the 7th of July this year in Apia, Samoa,” he said. “And the games is the pinnacle of the international events that we attend, and we’ve been attending these games since 1966. 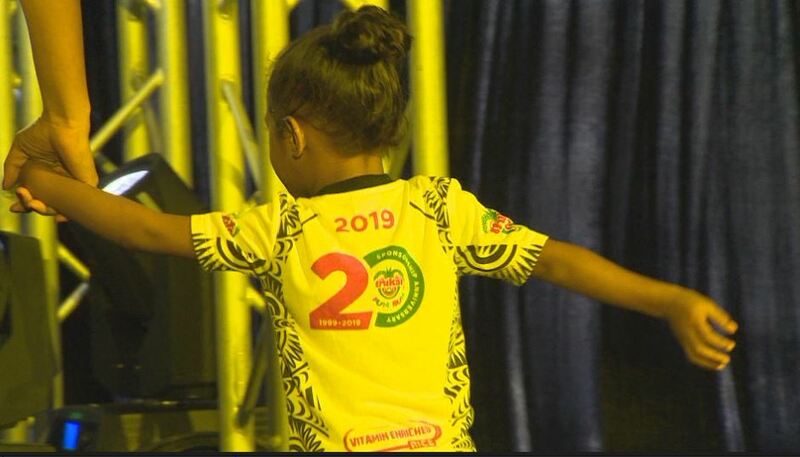 Trukai’s support has taken Team PNG to six Olympic Games, five Commonwealth Games, five Pacific Mini Games and four Pacific Games, with this year’s Samoa Games being its fifth.